Garrett Thomas Richards...named LAA's third best prospect in 2012 by Baseball America...attended Edmond Memorial HS (OK) and the University of Oklahoma...named to NCAA All-Regional Team in 2009...as a freshman, was finalist for Closer of the Year...favorite NBA team is Oklahoma City Thunder...originally signed by Angels' scout Arnold Brathwaite. Made his second-career Opening Day start and spent the majority of the season with LAA, owning a 10.26 SO/9.0 IP ratio (87 SO) in 16 GS... His four runs allowed in his first start on Opening Day at OAK snapped his career high streak of 16 consecutive GS having allowed three-or-fewer earned runs, which dated back to 9/19/15...Made one rehab start on 6/29 with Inland Empire (A) at Rancho Cucamonga, working 3.1 innings and allowing five earned runs...Allowed three earned runs-or-fewer in 14 of his 16 starts, including each of his last 10, before undergoing Tommy John surgery in July (Dr. Neal ElAttrache)...His 50.7 ground ball percentage ranked 10th among AL starters (min. 75.0 IP) ... Among ML starters who threw at least 1,250 total pitches in '18, he ranked first in curveball spin rate (3,252 RPM) and second in fastball spin rate (2,580 RPM) behind HOU's Justin Verlander (2,618 RPM)...Finished tied for third among AL starters in average fastball velocity (95.8 mph) with TB's Blake Snell, trailing only NYY's Luis Severino (97.6) and HOU's Gerrit Cole (96.5)...Matched his career high with 11 strikeouts on 4/21 vs. SF (done four times in total)…became the first LAA pitcher with 11+ strikeouts in six-or-fewer innings pitched since Zack Greinke on 9/25/12 vs. SEA. Tossed five scoreless innings in season debut for Angels Apr. 5 at Oakland but exited game with a right biceps strain ... Missed 135 games on disabled list...Pitched two shutout frames in only rehab start for Triple-A Salt Lake Aug. 30 at Tacoma ... Returned to Angels Sept. 5 at Oakland (3.1 IP, 4 H, 1 ER, 1 BB, 3 SO)...In five September starts, went 0-2 with a 2.74 ERA (23 IP - 7 ER) and 23 strikeouts ... Allowed two-or-fewer earned runs in five of six starts...Held opposing hitters to a .180 (18/100) batting average against ... Finished year with active streak of 16 consecutive starts (dating to Sept. 19, 2015) allowing three-or-fewer earned runs...Longest streak for an Angels pitcher since Mike Witt 's franchise record 21 straight starts, May 10, 1981 - Apr. 30, 1982 ... Since 2014, average fastball velocity of 96.5 MPH ranks fourth in the Majors (min. 400 IP), according to FanGraphs. Pitched in six games for Angels, before having season cut short by right elbow UCL injury suff ered in start on May 1 at Texas... Missed fi nal 137 games of season on disabled list...Made first career Opening Day start April 4 vs. Cubs, snapping Angels franchise record streak of six straight Opening Day starts by Jered Weaver...Received stem-cell injecti ons from Dr. Steve Yoon in Los Angeles in May instead of undergoing a ligament-replacement surgery...After being cleared to throw off mound in late September, made three October starts in Instructi onal League in Arizona...Was given a PRP injecti on on Oct. 14 by Dr. Yoon to conti nue to promote healing in the ligament. Finished the season with a 15-12 record and 3.65 ERA (207.1 IP - 84 ER) in 32 starts for Angels. Set new career-highs in wins (15), strikeouts (176), starts (32) and innings pitched (207.1). Registered a quality start in 24 of 32 starts… Tied for third most in the American League… Since start of 2014, has a quality start in 43 of 58 contests (74.1%). Among American League leaders, ranked sixth in wins, ninth in innings pitched, 10th in strikeouts and 10th with a 2.92 home ERA (117 IP - 38 ER)…His 17 wild pitches led the A.L. and 76 walks were second most. Held opposing hitters to a .236 batting average against (181-for-768)... Since start of the 2014 season, has held opposing hitters to a .220 (305-for-1385) batting average against, which ranks ti ed for second in American League in that span (min. 200 IP). Had streak of 10 consecutive home quality starts snapped August 3 vs. Cleveland… The streak spanned from August 9, 2014 - July 23, 2015… Went 6-1 with a 2.02 ERA (71.1 IP - 16 ER) in that span. 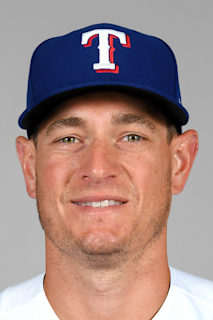 Carried a no-hitter into the seventh inning May 10 vs. Houston… Broken up on one out single by Jason Castro in the 7th inning. In five starts between April 24 and May 17, went 3-1 with a 1.83 ERA (34.1 IP - 7 ER). Missed first 11 games of season on disabled list recovering from left patellar tendon injury suffered August 20, 2014 at Fenway Park… Made season debut April 19 at Houston. Made one rehab appearance with Triple-A Salt Lake April 14 at Fresno… Charged with the loss after allowing five earned runs on seven hits across five innings pitched with four walks and five strikeouts. Made 26 starts for Angels and posted a 13-4 record and 2.61 ERA (168.2 IP - 49 ER)...Season was cut short after tearing his left patellar tendon while covering first base in second inning of Aug. 20th game at Fenway Park...Set career bests in nearly every major pitching category...At time of injury, ranked second in the A.L. with a .201 batting average against 124-for-617, third in road ERA (2.11), tied for third in winning percentage (.765), tied for fourth in wins (13), tied for fifth in starts (26), seventh in strikeouts (164), tied for seventh in night game ERA (2.75), eighth in ERA (2.61), eighth in innings pitched (168.2) and 10th in strikeouts per nine innings (8.8)...Allowed just 0.267 home runs per nine innings (168.2 IP - 5 HR), which led Majors at time of injury...Had an average fastball velocity of 96.4 MPH which was tops in Majors among qualifiers (FanGraphs)...Went 8-2 with a 2.11 ERA (93.2 IP - 22 ER) in 15 road starts and allowed two-or-fewer runs in 12 of the 15 games...Tossed first complete game shutout of career Aug. 4 at Dodger Stadium...Became first pitcher in MLB history with three consecutive Interleague starts of 6+ scoreless innings in a single season...Enters 2015 with an active streak of 24 consecutive scoreless innings against National League opponents...Had streak of nine consecutive quality starts from June 4 - July 19...Marked longest streak by an Angels pitcher since Jered Weaver posted 15 straight quality starts during the 2011 season...Was one of five players selected to ballot for "Final Vote" for All-Star Game (won by Chicago White Sox LHP Chris Sale)...Seven game win streak in decisions from June 4 - July 11 set career best and was tied for longest by any A.L. pitcher for the season...In five starts in June, went 4-0 with a 1.05 ERA (34.1 IP - 4 ER) and had 35 strikeouts...His 1.05 ERA is lowest ERA for June in Club history (minimum 30 IP) breaking John Lackey's record 1.16 ERA (38.2 IP - 5 ER) in June of 2008...Became first player in Angels history with six straight outings (June 4 - July 1) with 6+ IP while allowing four hits or fewer...The streak tied for third longest in A.L. history...Struck out the side on nine pitches June 4 at Houston, joining Nolan Ryan (1972) as the only Angels to accomplish the feat. Made Angels Opening Day roster for the first time and completed first full season in the Majors with a 7-8 record and 4.16 ERA (145 IP - 67 ER) in 47 games (17 starts), allowing 151 hits (12 HR) while walking 44 batters and striking out 101... Set career highs in every major pitching category, including: games, starts, innings pitched, hits, runs, earned runs, walks and strikeouts... Started the season in the bullpen and made four relief appearances before being moved to the starting rotation on April 13…Allowed one run on three hits in 4.1 innings pitched with five strikeouts and one walk in those four relief outings... Went 1-2 with a 5.54 ERA (26 IP - 16 ER) in four April starts before returning to the bullpen…Earned first win of the season on April 20 vs. Detroit after tossing seven shutout innings and holding the Tigers to just two hits while matching a career high with eight strikeouts... Permanently rejoined the starting rotation on July 27 after making 26 relief appearances from May 4-July 23…Made 13 starts and pitched to a 5-4 record with a 3.72 ERA (77.1 IP - 32 ER) and 53 strikeouts... Won three straight starts from September 2-12 while recording a 2.41 ERA (18.2 IP - 5 ER) in those games…Marked longest win streak of career... Overall as a starter, had a 6-6 record and 4.18 ERA (103.1 IP - 48 ER) with 71 strikeouts in his 17 starts…As a reliever, went 1-2 with one save and a 4.10 ERA (41.2 IP - 19 ER) and 30 strikeouts in 30 appearances... Put together finest stretch of the season from June 29-September 17, going 5-2 with a 2.67 ERA (81 IP - 24 ER) in 18 games (11 starts)…The 2.67 ERA was the sixth best in the American League in that span... According to FanGraphs, led the American League with an average fastball velocity of 94.8 MPH in 2013 (min. 130 IP). Appeared with Angels and Triple-A Salt Lake Bees...With Halos, logged a 4-3 mark with one save and a 4.69 ERA (71 IP - 37 ER) in 30 outings (9 starts)...Went 3-2 with 4.42 ERA as a starter and 1-1 with one save and a 5.50 ERA in 21 relief appearances...With Bees, went 7-3 with a 4.21 ERA in 14 starts (77 IP - 36 ER)...Recalled from Salt Lake on three occasions (5/29, 7/17, 8/22)...First outing of season came in relief (May 30 vs. NYY)...He followed that outing with nine consecutive starts from June 5-Aug. 1...His final 20 outings came in relief, including 15 appearances down the stretch in Sept. & Oct...Angels went 6-3 in his nine starts, including a 4-1 mark at the Big A...Allowed three runs or less in five of nine starts - Halos went 5-0 in those outings...In his 30 overall appearances, LAA went 22-8...Tossed a career-best eight shutout innings, June 17 vs. Arizona, three outs shy of becoming first Angels' rookie to throw a complete game shutout since Ervin Santana in 2005...Recorded first career victory, June 5 vs. Seattle, in his ninth career appearance (fourth start)...Set then career high with seven innings pitched and eight strikeouts...Earned first Major League save on Aug. 24 in a 2-1 win at Detroit (0.2 IP, 2 SO). Named Angels' third best prospect for 2012 by Baseball America...Finished 2011 season with an 0-2 record anda 5.79 ERA (14 IP - 9 ER) in seven appearances, three starts with Angels...Pitched in 22 games (21 starts)at Arkansas, registering a 12-2 record with a 3.15 ERA (143 IP - 50 ER)...Had contract selected, August9th, becoming first Angels pitcher since Ervin Santana in 2005 to be called up from double-A...At time ofpromotion, led Texas League in wins and innings pitched while ranking second in ERA behind teammate MattShoemaker...Made Major League debut, August 10 at Yankee Stadium, becoming first starting pitcher to makehis ML debut at the new Yankee Stadium...In first career home start, August 15 vs. Texas, was removed fromthe game in the first inning after suffering a right adductor strain...Missed 18 games while on the disabledlist...Made five appearances (one start) after being reinstated from the DL, posting a 3.37 ERA (8.2 IP - 3 ER)...Started final game of season, September 28, recording the finest outing of his young career allowing one run ontwo hits in five innings...Ranked by Baseball America as Angels' seventh best prospect entering season. Named Midwest League Pitcher of the Week for the week of June 7-13...Selected to Midwest League Western Division All-Star Team. In 2009, pitched in eight games for Orem, registering a 3-1 record with a 1.53 ERA (35.1 IP - 6 ER) whilewalking four batters and striking out 30. February 17, 2019 San Diego Padres placed RHP Garrett Richards on the 60-day injured list. Recovering from Tommy John surgery. December 7, 2018 San Diego Padres signed free agent RHP Garrett Richards. October 29, 2018 RHP Garrett Richards elected free agency. October 29, 2018 Los Angeles Angels activated RHP Garrett Richards from the 60-day disabled list. July 31, 2018 Los Angeles Angels transferred RHP Garrett Richards from the 10-day disabled list to the 60-day disabled list. Right elbow UCL damage. July 11, 2018 Los Angeles Angels placed RHP Garrett Richards on the 10-day disabled list. Right elbow UCL damage. July 4, 2018 Los Angeles Angels activated RHP Garrett Richards from the 10-day disabled list. June 29, 2018 Los Angeles Angels sent RHP Garrett Richards on a rehab assignment to Inland Empire 66ers. June 15, 2018 Los Angeles Angels placed RHP Garrett Richards on the 10-day disabled list retroactive to June 14, 2018. Left hamstring strain. September 5, 2017 Los Angeles Angels activated RHP Garrett Richards from the 60-day disabled list. August 30, 2017 Los Angeles Angels sent RHP Garrett Richards on a rehab assignment to Salt Lake Bees. April 22, 2017 Los Angeles Angels transferred RHP Garrett Richards from the 10-day disabled list to the 60-day disabled list. Right biceps strain. April 7, 2017 Los Angeles Angels placed RHP Garrett Richards on the 10-day disabled list retroactive to April 6, 2017. Right biceps strain. November 7, 2016 Los Angeles Angels activated RHP Garrett Richards from the 60-day disabled list. May 10, 2016 Los Angeles Angels transferred RHP Garrett Richards from the 15-day disabled list to the 60-day disabled list. High grade UCL tear in right arm. May 6, 2016 Los Angeles Angels placed RHP Garrett Richards on the 15-day disabled list. High grade UCL tear in right elbow. April 19, 2015 Los Angeles Angels activated RHP Garrett Richards from the 15-day disabled list. April 14, 2015 Los Angeles Angels sent RHP Garrett Richards on a rehab assignment to Salt Lake Bees. November 3, 2014 Los Angeles Angels activated RHP Garrett Richards from the 60-day disabled list. August 22, 2012 Los Angeles Angels recalled RHP Garrett Richards from Salt Lake Bees. August 2, 2012 Los Angeles Angels optioned Garrett Richards to Salt Lake Bees. July 17, 2012 Los Angeles Angels recalled Garrett Richards from Salt Lake Bees. July 6, 2012 Los Angeles Angels optioned Garrett Richards to Salt Lake Bees. May 29, 2012 Los Angeles Angels recalled Garrett Richards from Salt Lake Bees. March 31, 2012 Los Angeles Angels optioned Garrett Richards to Salt Lake Bees. September 6, 2011 Garrett Richards roster status changed by Los Angeles Angels. September 3, 2011 sent RHP Garrett Richards on a rehab assignment to Arkansas Travelers. August 10, 2011 Los Angeles Angels selected the contract of RHP Garrett Richards from Arkansas Travelers. April 4, 2011 Garrett Richards assigned to Arkansas Travelers from Inland Empire 66ers. January 28, 2011 Los Angeles Angels invited non-roster RHP Garrett Richards to spring training. July 28, 2010 RHP Garrett Richards assigned to Rancho Cucamonga Quakes from Cedar Rapids Kernels. March 23, 2010 RHP Garrett Richards assigned to Los Angeles Angels. September 21, 2009 Garrett Richards roster status changed by Cedar Rapids Kernels. September 9, 2009 Cedar Rapids Kernels placed RHP Garrett Richards on the 7-day disabled list retroactive to September 7, 2009. September 1, 2009 RHP Garrett Richards assigned to Cedar Rapids Kernels from Orem Owlz. July 15, 2009 Garrett Richards assigned to Orem Owlz from Los Angeles Angels. July 13, 2009 Los Angeles Angels signed Garrett Richards.